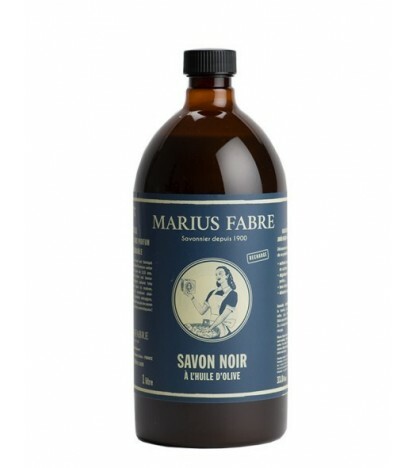 The soap factory of Salon-de-Provence Marius Fabre has been making cauldron-cooked olive oil soap, using traditional crafts expertise for over 110 years. Ever since 1900, our toilet soaps have been made exclusively from vegetable oils, with no colouring or preservatives at all. With its delicate lavender fragrance, this olive oil toilet soap gently cleanses the skin. Used in the shower, it pleasantly instils a sensation of well-being with a breath of Provence. Since 1900 and for four generations here in Salon-de-Provence, our family has been making soap that is cooked in a cauldron to traditional Marseille soap-making methods. Each slice of our Marseille olive oil soap is hand cut and stamped like in the olden days. 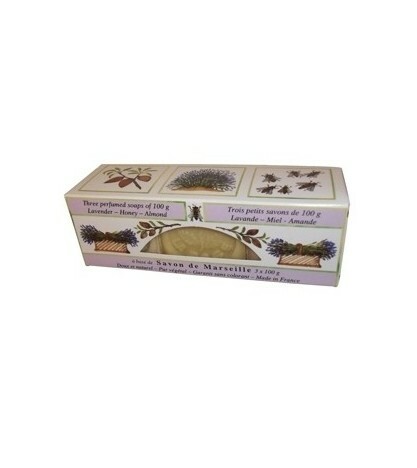 Assortment of 3 toilet soaps fragnances with honey, lavender and almond. Ever since 1900, our toilet soaps have been made exclusively from vegetable oils, with no colouring or preservatives at all. With its delicate heather honey fragrance, this toilet soap enriched with shea butter gently cleanses the skin. Used in the shower, it pleasantly instils a sensation of well-being with a breath of Provence.